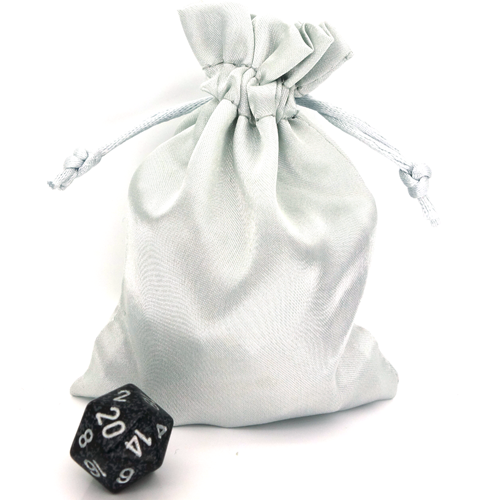 A quality silver satin dice pouch by Dice Workshop. Just the right size to hold one or two of your precious dice sets! A silver satin dice pouch by Dice Workshop. Just the right size to hold one or two of your precious dice sets! With integrated drawstring and quality woven satin from Denmark.